In many ways, James Wan and co should be congratulated for the success they’ve had in creating the Conjuring universe, but this should be the point where they stop and take stock of where they’re taking the franchise, and why. The Nun is like the movie that quality control forgot. Watching it is akin to seeing a cinematic car crash happening in slow motion, but instead of bodies in the road it’s the makers’ reputations. 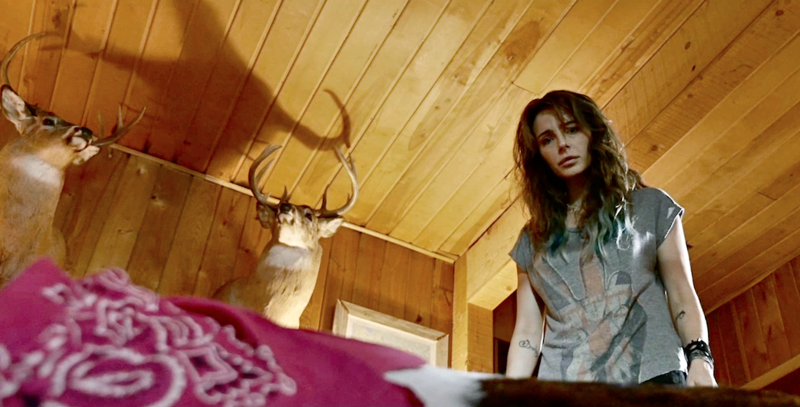 Hardy, making his second feature after The Hallow (2015), appears to have been a director for hire only on this occasion, as he brings none of the visual flourishes he brought to that first feature, and his direction is largely anonymous. The cast don’t have a chance thanks to the banal nature of regular scribe Gary Dauberman’s screenplay, and Bichir in particular looks uncomfortable and/or wishing he’d taken another gig altogether. 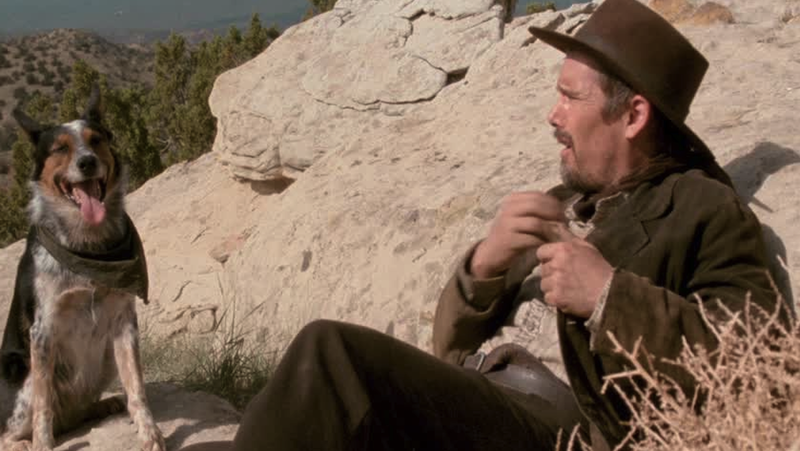 The set pieces rely on roving camera work to hide the so-called scares (which are astonishingly predictable), but worst of all, the title character remains a bystander in her own movie, brought out occasionally for a cheap jolt, and at the end for what amounts to a showdown. Anyone expecting to learn more about Valak and his origins (and why a nun) will be looking in the wrong place, as this is so badly constructed as to be completely nun-sensical. 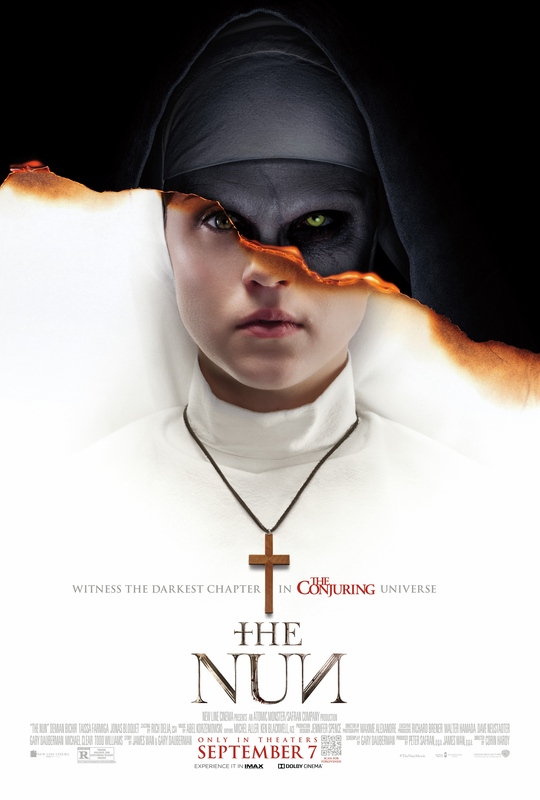 Rating: 3/10 – The Nun‘s box office performance – $133 million so far – proves that you can fool a lot of the people (initially), but this is far from being a good movie, or one that deserves to do so well; a chore to sit through and woeful on so many levels – and just having a character called Frenchie is bad enough – this is movie making without thinking or conviction. 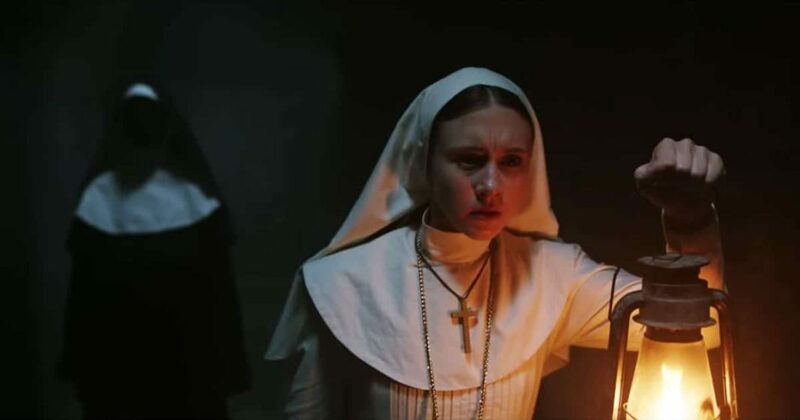 In Strange Nature, the world we’re introduced to is one that we can more easily recognise than in The Nun, but it’s not without its own unexplained phenomena. 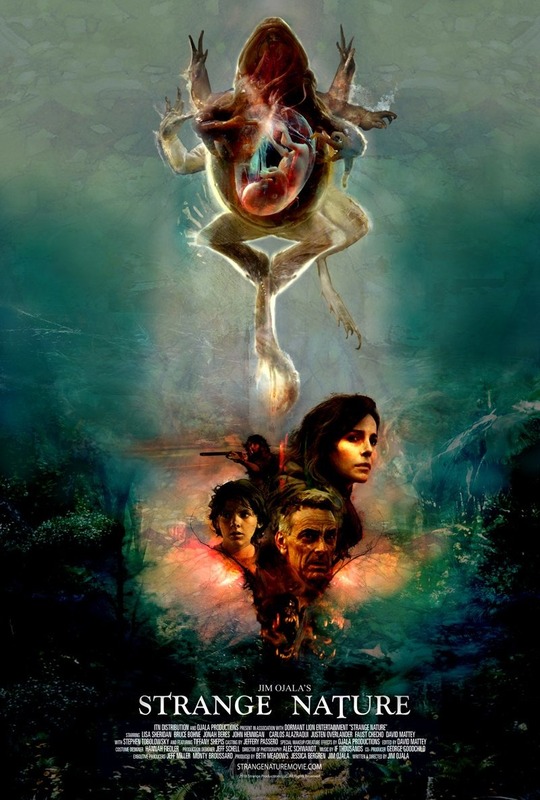 Based on a mystery that dates back to the mid-Nineties, when deformed frogs began appearing in ponds throughout Minnesota, the movie takes this as a jumping off point (excuse the pun) for a tale of mutations that begin with said frogs and which then makes its way up through the biological food chain until it starts to affect humans. Working with a limited budget, first-time feature writer/director Ojala has created a horror movie that trades on established genre tropes but which does so while doing its best to focus on a small town community that finds itself under attack from both outside and within. Ojala uses the character of Kim (Sheridan) as our guide to the ensuing developments, as stories of people going missing slowly become forgotten as the potential reason for their disappearances becomes more obvious. As Kim delves deeper into the mystery of the deformed frogs, various culprits – agricultural fertilisers, waterborne parasites, nature gone haywire – are explored, but as with real life (where the problem has since spread to India and China), the movie doesn’t settle for one easy explanation over the rest. 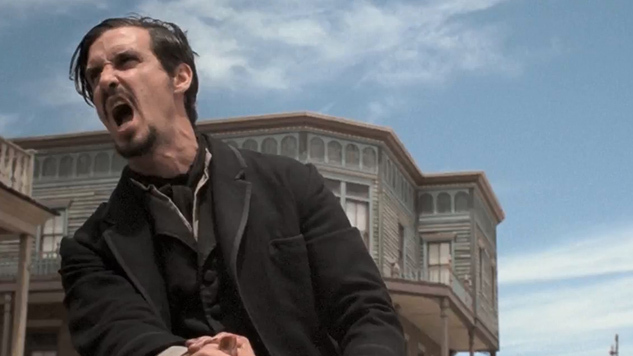 The movie wears its horror credentials on its sleeve, and peppers the narrative with various examples of body horror (a deformed puppy, skin sloughing away from flesh), but the effectiveness of these scenes is hampered by the budget, and though Ojala opts for practical, in-camera effects wherever possible, many of them betray the lack of funds available (editor David Mattey does what he can, but in trying to obscure the lacklustre effects he actually draws attention to them even more). Away from the more overt horror elements, Ojala does a good job of developing the sense of a small town whose initial scepticism soon gives way to fear and paranoia, and adds a layer of tragedy when one character’s pregnancy doesn’t end in the blessed event she was expecting. The performances are adequate, with Tobolowsky suitably oily as the town mayor, and the Duluth, Minnesota locations add a degree of verisimilitude that works well as a backdrop for the action. 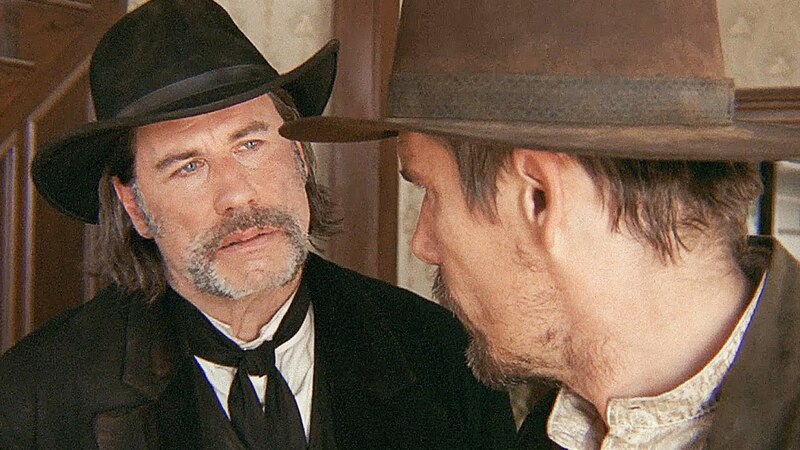 There’s nothing inherently wrong with Strange Nature, and it’s certainly not as bad as some other horror movies out there (see above), but it does suffer from a surfeit of ideas that it doesn’t have the wherewithal to explore fully, and refreshingly, keeps any unnecessary melodramatics to a minimum. Rating: 6/10 – though its narrative arc is entirely predictable, and some of the characters remain stereotypes throughout, Strange Nature works exceedingly well as a cautionary tale, and is well worth a look; with a sense of ambition often missing from low budget horror movies, Ojala’s feature debut unfolds confidently, and more importantly, with a purpose that is often missing from some of its bigger budgeted brethren.